Nearly four months after the conclusion of the SIMARINE-NATURA project we submitted the project final report to the European Commission. Based on the report the Commission is evaluating success of the project and eligibility of claimed costs. The technical part of the final report is available also on this web site (click). And yet it moves (Eppur si muove) said Galileo Galilei a long time ago. Eventually we can exclaim the same for the problem of oiled birds and other organisms whose ever more frequent scenes from all over the world are stirring our conscience. Although, luckily, we haven’t been confronted with such events in our part of the Adriatic yet, we can already sense the origins of solving this problematics in Slovenia, too. 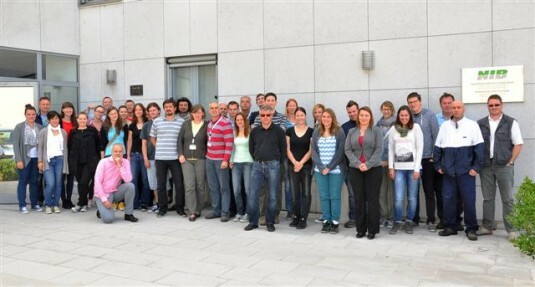 After a successful training of volunteers in Koper and Sežana in 2013, the story continues: on 25th-26th May the Marine Biology Station in Piran, Slovenia, welcomed the second training course for volunteers who will from now on be ready to help professional experts in case of accidental oil-spills in the coastal marine environment. The primary goal of the course was to upgrade the knowledge of volunteers who have been registered in the volunteer database before as well as to educate and motivate new ones. The meeting was also an opportunity for networking between NGOs, state institutions and research institutes. The course which was attended by 38 participants was a part of the activities of two ongoing projects: the IPA “Strengthening common reaction capacity to fight sea pollution of oil, toxic and hazardous substances in Adriatic sea (HAZADR)” and SIMARINE-NATURA. It was organized by the “Adriatic Training and Research Centre“- ATRAC from Rijeka (Croatia) in collaboration with experts from the National Institute of Biology – Marine Biology Station, Administration of RS for Civil Protection and Disaster Relief, and DOPPS – BirdLife Slovenia. Jakomo is the 6th Mediterranean Shag which was tracked on migration from Slovenian to Croatian sea. Jakomo flew to Istria in February, precisely in the vicinity of the town of Vrsar (Orsera). Its migration pattern is similar to that of the first migration of Mihi, who took a short trip to the same region a year earlier. They are both immatures of the same age and have often been seen together in Slovenian sea, but Mihi’s migratory achievements are more prominent: this winter it already migrated to Dalmatia and is the winner in the migration distance among the Shags we have been tracking. “In the area where Jakomo is roaming I was spending long summer holidays as a child and thus know every corner of that bay. It’s exciting to follow all these Shags who spend the winter in places where many Europeans go for summer holidays. Many Shags bring up their broods on rocks where we will be sunbathing a few months later,” said the coordinator of the project SIMARINE-NATURA, Urša Koce. However, Croatian coast is being visited by turists even outside summer season ever more frequently. We’ve been informed recently about a Shag with a GPS logger which was observed last October on one of the Kornati islands by Slovenian sea-kayakers. This was one of the individuals which we don’t follow anymore due to the failure of its logger. Observation data about Shags tagged with GPS loggers are especially prescious because most of the loggers have stopped working by now. Perhaps you are going to trace one of these? If you see it, focus on an orange ring on Shag’s right leg. If you can read the black code, please write it down and send it to us together with the date and location (simarine.natura@gmail.com). And if you manage to take a photo of the Shag, even better! However, we would like you to be cautious: if you meet a breeding colony of Shags or other seabirds on remote islands or coast, do not disturb them and try to withdraw as soon as posible. Breeding seabirds are extremely sensitive to disturbance and sites where they can hide from humans are becoming rearer and rearer. 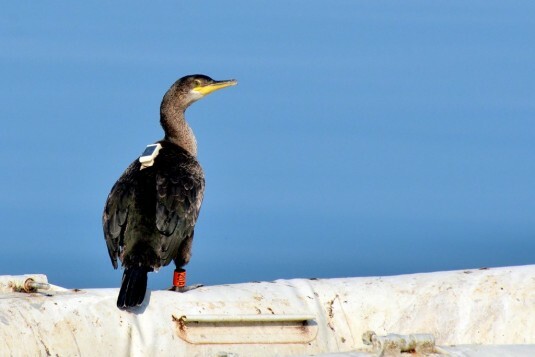 Technical report on the telemetry of the Mediterranean Shags (the delivery of the action A.2) is now available on the project webpage. 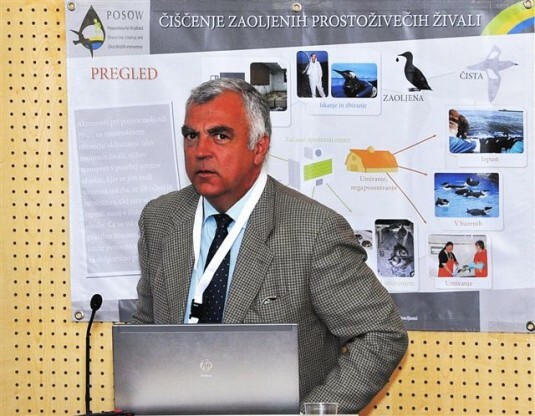 The report will be included in the materials for the preparation of the official proposal for the new marine SPAs which will be elaborated by the Slovenian Institute for protection of nature (ZRSVN). The report in English is available here.